How Do I Add Quizzes And Surveys To A Course? 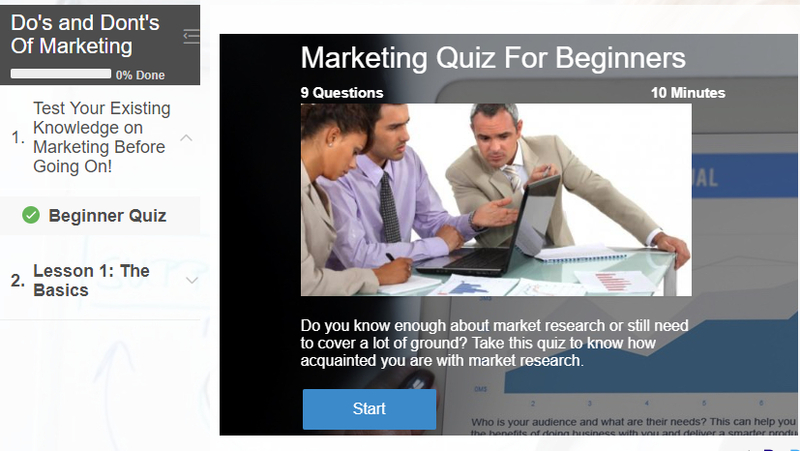 Quizzes and Surveys are great ways to test the progress of your course takers and they also help in assessing the effectiveness of the course you've created. The steps given below will tell you how you can add Quizzes and Surveys to a course. Note: The following steps can also be used for adding Polls and Flashcards. Here's how a Quiz/Survey will look after it has been added. 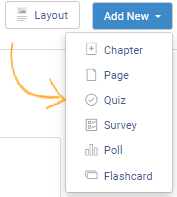 Step 1: In the Edit Window, Click the Chapter you want to add the Quiz/Survey to. Step 2: Place your cursor on 'Add New' on the top right corner. Select what you want to add. You can add a Quiz, Survey, Poll or Flashcard. Step 3: Select the Quiz/Survey from the drop down menuand then click 'Add.' You can also create a new Quiz/Survey. How do I create, customize, and brand a course certificate? How do I send a course to learners?